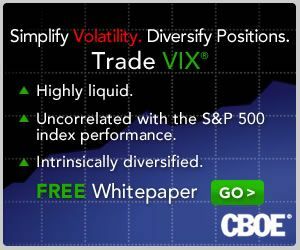 The issues are related to pullbacks in stocks, the VIX spikes associated with them, how to minimize portfolio volatility when these types of events happen and what the implications are for various VIX exchange-traded products. With that backdrop and a stock market that has been looking fatigued while it has meandered sideways for the past month, quite a few investors are thinking about how to hedge a portfolio that has a long-equity bias. In the graphic below, I capture the recent performance of a number of ETPs which may be suitable for hedging that type of portfolio. 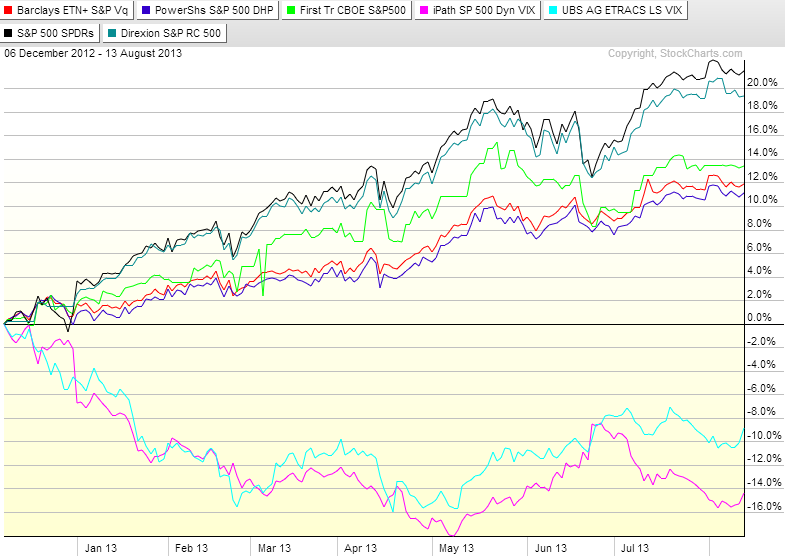 Interestingly, the performance of these securities appears to fall into three distinct groups. Keep in mind that the most aggressive hedges are almost always the ones that underperform the most in bullish periods. If you want a very different look at how some of these products perform when stocks decline sharply, check out Performance of VIX ETP Hedges in Current Selloff. The links below provide some background information on some of these products as well as performance data and should serve as excellent starting points for more comprehensive research.